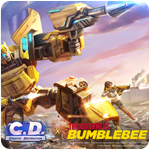 Creative Destruction Bumblebee - Download and Play Free on iOS and Android! Partner up to secure victory. It's one pilot and one gunner per car. 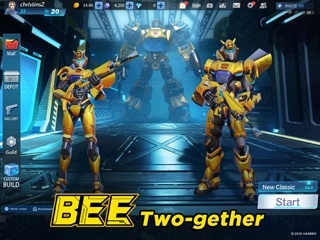 How does it feel to have your buddy by your side, and reign supreme as the unstoppable Bumblebee? Pair up and triumph! Come embark on a winner-takes-all slugfest in Creative Destruction today and show'em what you could be. If imitation is the highest form of flattery then Fortnite must spend a lot of its time blushing. It's natural that developers will take their cues from hit games, and Creative Destruction has clearly looked to Epic's blockbuster for inspiration. It's hard to begrudge it, though. Fun is fun. Plus, Creative Destruction comes with a couple of significant tweaks that make it worth a look, even if you've had your fill of Fortnite. Each round sees you jumping out of an odd flying vehicle at a moment of your choosing and skydiving onto a huge 4x4km island made up of several distinctive environments. The island never changes, but it's so sprawling that you'll rarely spend time in the same area twice. The aim is to be the last player standing in a field of 100 opponents. At first you're unlikely to come across any other players, since the island is big and people are small. You can use this time to find weapons and other loot to accompany the basic Destructor you land with. Then, in stages, the playable area of the island starts to shrink. It always shrinks in a different place, too, corralling everybody into a smaller and smaller area for the final showdown in a new setting. Creative Destruction uses the familiar control interface of movement on the left of the screen and looking on the right, with a fire button on either side so that you can both look and shoot or move and shoot as the mood takes you. Alongside the basic move and shoot controls there are buttons for jumping, crouching, interacting with stuff like chests, and zooming in. Plus, there's an array of Destructor commands. Your Destructor is actually more of a Constructor/Destructor. You use it to take buildings, vehicles, and various other objects apart to harvest material with which to build structures of your own. The options on hand are sections of floor or wall, ramps, and entire rooms. Rather than being solid, permanent edifices, these structures play a hugely important and dynamic role in combat. During firefights you'll find yourself throwing up rooms and ramps to change your line of fire and provide cover on the fly. Meanwhile, unlike in Fortnite, these structures are pretty easy to destroy, forcing you to be constantly on the move in search of a tactical edge over your opponent. It's building as a weapon, and it makes for some innovative, thrilling combat. Solo is the main mode in Creative Destruction - the classic battle royale model of all versus all in a fight to the death - but there are others, including Duo, Squad, Fireteam, and a whole new mode featuring Bumblebee. You know, the yellow Beetle out of the Transformers. 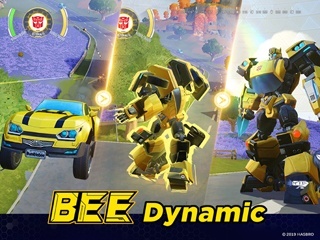 This mode sees you either driving a vehicle around or firing from it, attempting to take out the other players and claim a ride in Bumblebee. And yes, you can play as everybody's favorite first-gen Autobot in robot form, too. Like Fortnite, Creative Destruction is as much about the stuff that happens off the battlefield as on it. It's a free-to-play game, so it makes its money from items various purchasable items, some of them cosmetic, some practical. There's a huge mall of stuff to choose from, and a huge number of ways to come across the currency necessary to buy it. These include winning matches, collecting loot, and completing daily missions. Naturally, you can lay down real cash for diamonds too. It's arguably this rich economy that makes Creative Destruction so compelling - though the action is great too. While it's hardly original, Creative Destruction is polished, vibrant, and innovative in small ways. If you're burned out on Fortnite but not battle royale, it's worth picking up. You can check out Creative Destruction here if you're in Europe and Japan, and here if you're located elsewhere.